Edgefield County EMS and Piedmont Technical College have partnered to offer a reduced rate EMT certification course beginning this spring. Students who pass this program will be certified as EMTs not only in South Carolina but nationally as well and will immediately be eligible for hire through the county as an EMT. This course is open to Edgefield County residents only who are at least 18 years old, have a high school diploma or GED, are able to pass a background check, and who have no criminal record. Classes cost $200, which is due up front, with an additional $160 due toward the end of the course to cover testing costs. The first 12 member class is almost full with only a few slots remaining. Anyone interested in signing up for the remaining openings may call the EMS office 637-4098. Details regarding the exact date this course will start are still being worked out, but classes should begin within the next 3 weeks and will last about 6 months. There are a required 240 hours for this course. Classes will be on Mondays and Thursdays from 6-10 p.m., and there will be one class a month on a Saturday. Students who have already signed up for the course will be contacted when classes are ready to begin. In speaking with The Advertiser, Debra Hoffman with Piedmont Tech said the idea for this course was presented to the college by Edgefield County EMS Director Jewel Plaxco. Ms. Hoffman explained that EMS will be providing the instructors, facilities, and materials for this course while the college will basically be providing accreditation and support for the program. That, in part, is how the college is able to offer this reduced rate course. EMT certification courses usually costs over $1000. This same program offered at Piedmont Tech’s Greenwood campus is $1195 and is offered for $1400 at Midlands EMS. Adding to the affordability of this program is the flat fee per student ($200) the college is charging toward the program and the thriftiness of Mrs. Plaxco. Since Edgefield County received a grant to fund this year’s paramedic students, Mrs. Plaxco intends to use the money budgeted by EMS for that endeavor to cover the costs of books and materials for their EMS course. Thus, students will not have to purchase their own books but will simply borrow and use those provided by EMS. Since the books will be returned to EMS after the course, they can again be used for future classes. Mrs. Plaxco, who spoke to The Advertiser about this program, stressed that becoming a certified EMT is “Very hard.” As she shared, after completing the classes, students will face practical testing as well as a separate written exam. 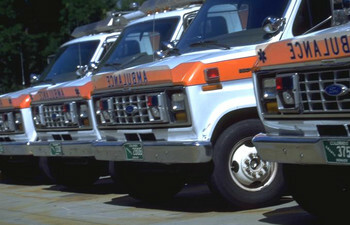 In addition, to be able to be certified to drive the ambulances, upon passing EMT certification, students must also pass an Emergency Vehicle Operations course. This one day, eight hour class will also be offered in conjunction with Piedmont Tech. Mrs. Plaxco said she is hopeful to be able to offer this certification course on a regular basis. Plans are already being made for a second class to be offered in the fall. A waiting list is being compiled of persons interested in taking that class. Anyone interest in being added to this last should call the EMS office. Additionally, Ms. Plaxco reminded that EMS offers a reduced rate CPR class every month for Edgefield County residents. Information regarding those classes may be found at the county’s website.